Offering a drug–drug interaction (DDI) checker on-demand instead of computer-triggered alerts is a strategy to avoid alert fatigue. The purpose was to determine the use of such an on-demand tool, implemented in the clinical information system for inpatients. The study was conducted at the University Hospital Zurich, an 850-bed teaching hospital. The hospital-wide use of the on-demand DDI checker was measured for prescribers and consulting pharmacologists. 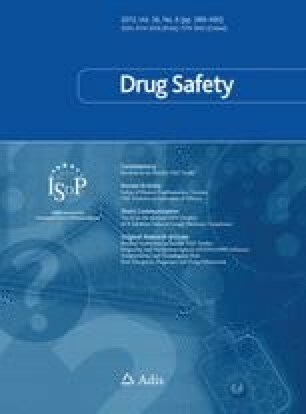 The number of DDIs identified on-demand was compared to the number that would have resulted by computer-triggering and this was compared to patient-specific recommendations by a consulting pharmacist. The on-demand use was analyzed during treatment of 64,259 inpatients with 1,316,884 prescriptions. The DDI checker was popular with nine consulting pharmacologists (648 checks/consultant). A total of 644 prescribing physicians used it infrequently (eight checks/prescriber). Among prescribers, internists used the tool most frequently and obtained higher numbers of DDIs per check (1.7) compared to surgeons (0.4). A total of 16,553 DDIs were identified on-demand, i.e., <10 % of the number the computer would have triggered (169,192). A pharmacist visiting 922 patients on a medical ward recommended 128 adjustments to prevent DDIs (0.14 recommendations/patient), and 76 % of them were applied by prescribers. In contrast, computer-triggering the DDI checker would have resulted in 45 times more alerts on this ward (6.3 alerts/patient). The on-demand DDI checker was popular with the consultants only. However, prescribers accepted 76 % of patient-specific recommendations by a pharmacist. The prescribers’ limited on-demand use indicates the necessity for developing improved safety concepts, tailored to suit these consumers. Thus, different approaches have to satisfy different target groups. No funding was received for the conduct of this study. The authors declared no conflict of interest. All authors contributed to the conception and planning of the work, analyzed and interpreted data, contributed to the drafting and critical revision of the manuscript, and all authors approved the final submitted version.